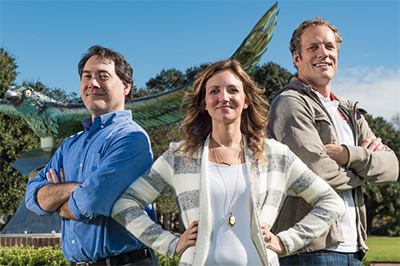 UNCW faculty Kevin Kiser, Angie Vandenberg ’05 and Steve Boul find fulfillment in preparing Seahawks for their future careers, and their passion for teaching and mentoring has not gone unnoticed. Submit items for the next SWOOP by noon on Friday. The last SWOOP of 2017 will be distributed Dec. 12. 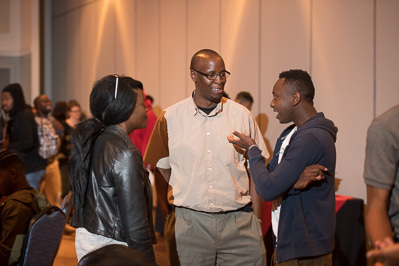 Daniel Warari (center) of the Office of Scholarships and Financial Aid talks with UNCW students during the Upperman African American Cultural Center's Pre-Kwanzaa celebration on Nov. 27 in the Burney Center.